Overseas Beauty Haul | emma etc. I've just returned from a three week trip to Canada and it's crazy how some time away can rejuvenate my creativity and have me raring to go when it comes to blogging. In the last couple of months I've debated whether to stop blogging altogether as at it was beginning to feel like a chore to me and something that was simply taking up my weekends when I could be relaxing instead. But something has changed after a month break and I'm more inspired than ever to create beautiful images and write about the things I love, which has been my goal since I started this blog almost five years ago. If something isn't making you happy, I think it's important to re-evaluate everything and go with your gut. I'm content with my blog being just for fun, I'm not here to make money or 'influence' people and that's why my posts may not be as regular as the average blogger, something I am totally okay with. 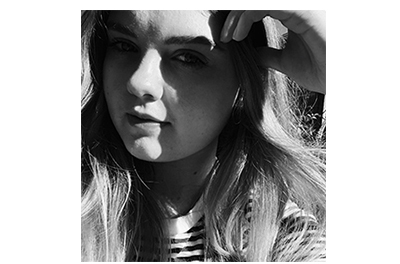 I've also given my blog a little makeover which always makes me more inspired. With that long ramble over with, I thought I'd share the handful of products I picked up overseas in Sephora and the drugstore. I didn't actually buy that much and looking back I probably could have bought a few more things, but I kind of didn't see the need when most of the products I wanted are available in New Zealand anyway. There are a few things here that are pretty hard to get hold of here, which is exactly why I got them in the first place. God knows how I'm going to acquire them again if they end up becoming holy grails, but I'll cross that bridge when I come to it. First up, I've been wanting to buy a new bronzer for a few months and I've had my eye on Benefit Hoola Lite, but for one reason or another I've procrastinated buying it. 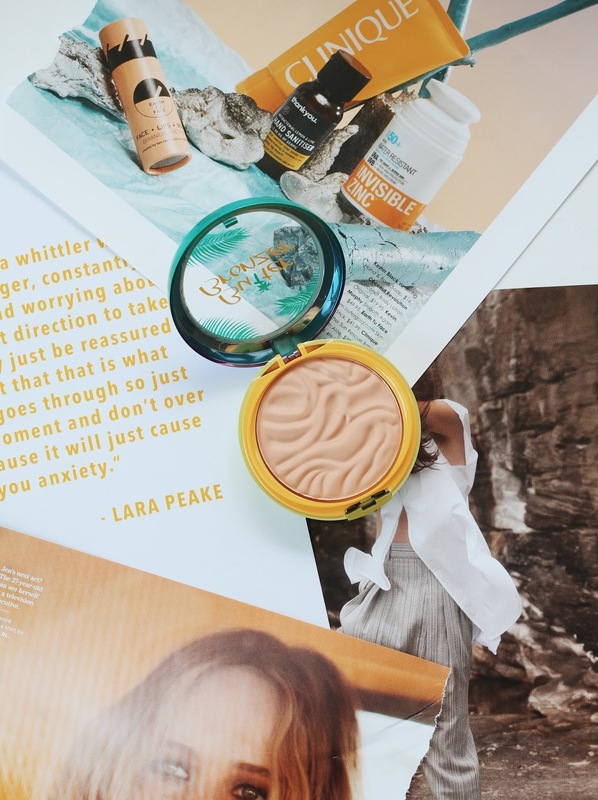 But when I saw the Physicians Formula stand at the drugstore, I knew I wanted to pick up the Butter Bronzer because I've heard good things about it. Because I have a pretty pale complexion, I can't get away with using your standard bronzer. I wanted one that was almost like a face powder in a darker shade, and I think that's a good way to describe the Physicians Formula bronzer in shade Light. After using it pretty much every day for the working week, I'm glad I picked it up. Next, I headed to Sephora. It's always an exciting moment to step into one overseas because we don't have that luxury in New Zealand, even though some of the brands are still available here. On this trip I was running out of the Anastasia Beverly Hills Brow Wiz in Medium Brown, so even though it was a boring repurchase, I knew it would be a good idea to stock up. I haven't used anything else on my brows in years and it will forever be a favourite. It mimics real hairs and I don't think I could go a day without applying it. 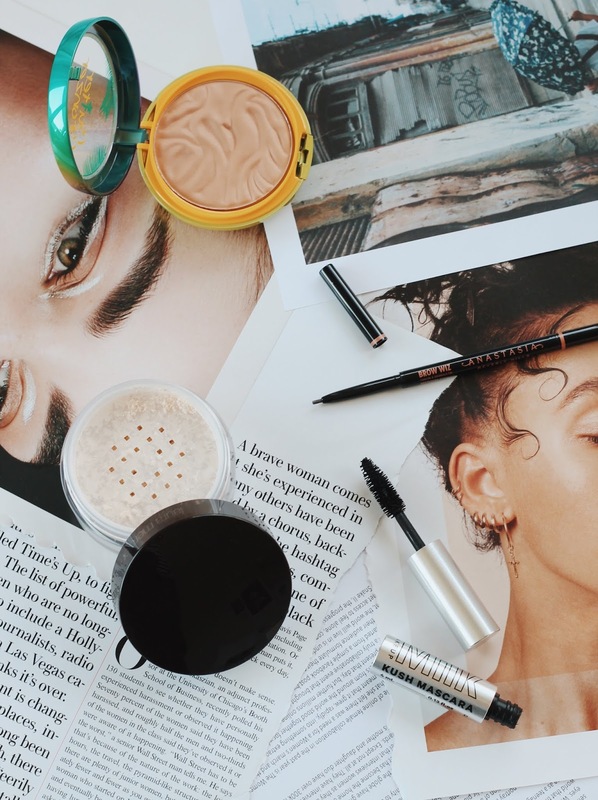 I was excited to get my hands on some Milk Makeup products after hearing American and Canadian bloggers rave about the brand. I mean they have such pretty packaging anyway, I probably wouldn't care if the products themselves weren't amazing. I did originally want to buy the cream bronzer, but instead decided to just get the KUSH High Volume Mascara. I had heard this made it look like you had lash extensions so I was pretty excited. Having tried this out for a decent amount of time now, I'm actually not totally convinced. While in theory I like the idea of having long and fluttery, natural looking eyelashes, I find this smudges on me way too much (and I have never been one to have a problem with mascaras smudging). I will still keep using this but that's something to keep in mind if you want to try this one out! On search of a new setting powder that would control my exceedingly oily skin at the moment, I decided to try the Charlotte Tilbury Loose Setting Powder in Translucent. I believe it's a cult favourite among bloggers and YouTubers and it's the one brand that's actually quite difficult to buy from New Zealand. I actually think this may have been discontinued recently (correct me if I'm wrong), but I can't find it anywhere online. I have previously talked about using the Hourglass Veil Translucent Setting Powder, but it's not very effective for oily or combination skin types. While I will still use this one when I have a more matte base, the Laura Mercier one is going straight into my every day makeup bag as it's more effective at keeping oil at bay. I'll see how I get on with this one, but first impressions are that it's a nice finely-milled powder. So was it actually worth doing a post about four products, one of which I've already tried? I'm not sure, but I don't splurge on beauty every week so it's hard to do huge hauls. Anyway, I hope you enjoyed reading this and I'll see you back soon for another post! I've always wanted to try the physicians formula bronzer, it looks perfect for my super pale skin!